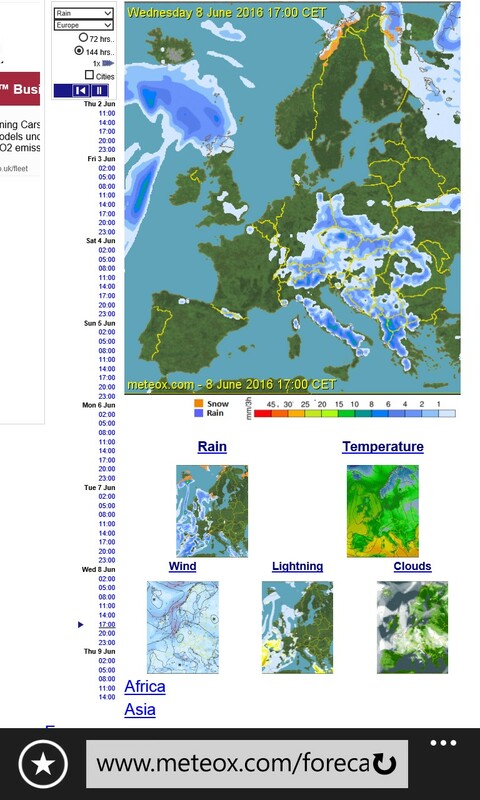 A 10 day weather forecast for the UK can never be taken accurately but only a guideline which changes daily. Useful for planning your next trip to try to avoid rain. They also have an app for the iphone / iPad forecasting 4 days which is more accurate.